The seeds of Ulster County-based trumpet man Chris Pasin’s excellent new solo album transpired from an offer by Planet Arts for the veteran musician to put on a concert of his original compositions in October 2014. As an artist, the New York-born Pasin first picked up the horn at age nine and studied under the tutelage of such masters as the legendary brass teacher Carmine Caruso, West Coast jazz great Jimmy Giuffre, and renowned music theorist / bandleader George Russell, whose orchestra he performed with during a residence at the Village Vanguard. And that’s not to mention being a key member of one of Buddy Rich’s last big bands in the ’80s. One can hear all of these influences come to the fray upon listening to Random Acts of Kindness, recorded in Kingston at bassist John Menegon’s Upland Recording Studio in an inspired two-month span following the aforementioned performance. Working on his own rendition of the classic quintet lineup featuring a guitarist (the immensely talented Mark Klienhaut) instead of a saxophone, this seven-song program is rounded out by Kansas City’s Wayne Hawkins on piano and drummer Dave Berger. The group gracefully traverses a litany of Pasin’s trumpet influences, be it Don Cherry (“OCDC”), Kenny Wheeler (“Fragile Creatures”), or, of course, Miles Davis, whose spirit can be heard all over songs like “Kayte Sunrise” and “Nature of the Beast.” Random Acts of Kindness is the quintessence of a most memorable career for this talented man with a horn. 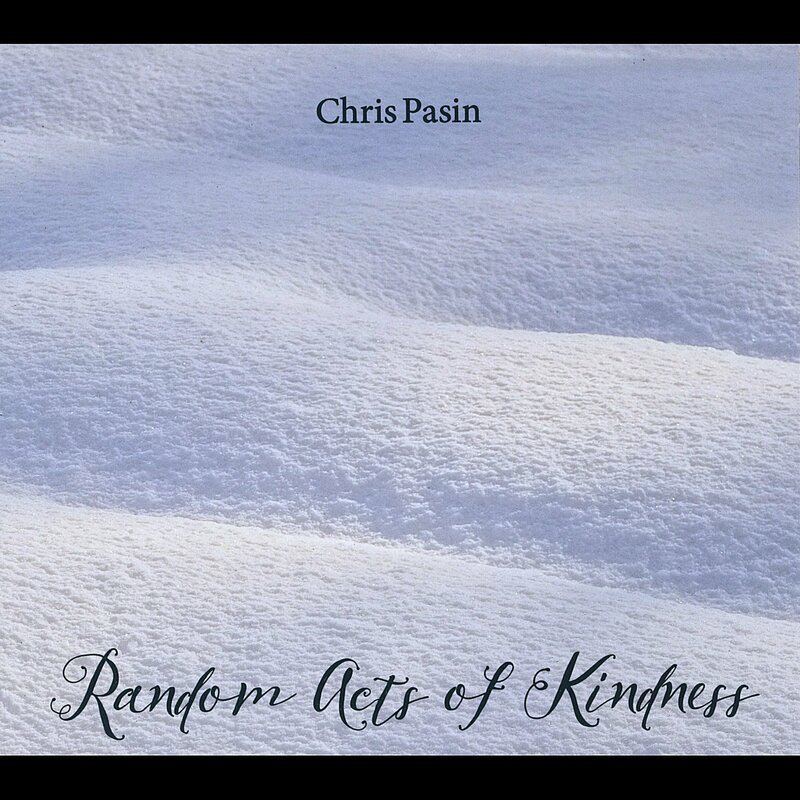 The seven compositions on trumpeter Chris Pasin‘s new album Random Acts of Kindness collectively hit a sweet spot between structure and improvisation, melody and atmospherics. Instead of sticking strictly to the traditional jazz form of verses and solos over repeated chord progressions, Pasin and his band take inspiration from eastern music, traditional western tunesmithing, and free-form jazz – one playful patchwork of theme and variations is even called “OCDC” after Ornette Coleman and Don Cherry – to craft an original sound that pushes intellectual and emotional buttons alike. Chris Pasin Random Acts of Kindness jazz trumpetIn “Liftline Moguls,” for example, a stark odd-time unison theme winds through subsequent, otherwise amorphous variations, while on the impressionistic ballad “Kayte Sunrise,” which features sweet muted-trumpet work from Pasin, a free-floating feel is superimposed onto a more standard form. The musicians rehearsed for two months before putting these compositions out before live audiences and in to the recording studio, and it shows: This is no pickup band. Pasin together with guitarist Mark Kleinhaut, keyboardist Wayne Hawkins, bassist John Menegon and drummer Dave Berger have created a carefully colored, expertly played set of tracks to which the common jazz term “tunes” doesn’t do justice. On the latter, Pasin shows off superb melodic inventiveness. Hawkins, Kleinhaut, and Menegon turn in solos full of winks and nods, Berger’s semi-solo during the resolution is a thing of joy, and the rhythm section displays fine chops on the album’s most straight-ahead beat. Likewise, the energetic jazz waltz “Nature of the Beast” features spectacular drum work and an impressively flowing bass solo. To close the album, the meditative, drone-driven “Om Flux” explodes into a rocking middle section with another bass solo. The album works equally well as pure pleasure listening and as brain food. Not random at all, these Random Acts of Kindness range widely and impress and delight on many levels.